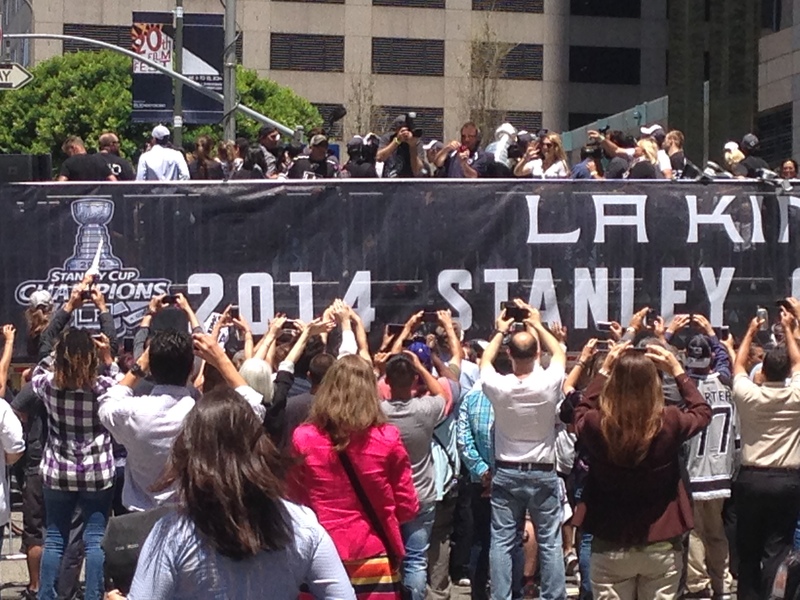 Los Angeles has been in a state of celebration since the Kings won the Stanley Cup on Friday night. I’m not big into sports, but what’s good for LA is good for me. It’s hard not to get swept up in the excitement, especially because the victory parade went a block from my work during my lunch break. At noon, I headed down towards Wilshire Boulevard. The elevator in my building was jammed with people hoping to catch a glimpse of the parade. As I stepped outside, I could hear the chant of “Go Kings, Go!” Just a block away, the parade had begun rolling down Figueroa. 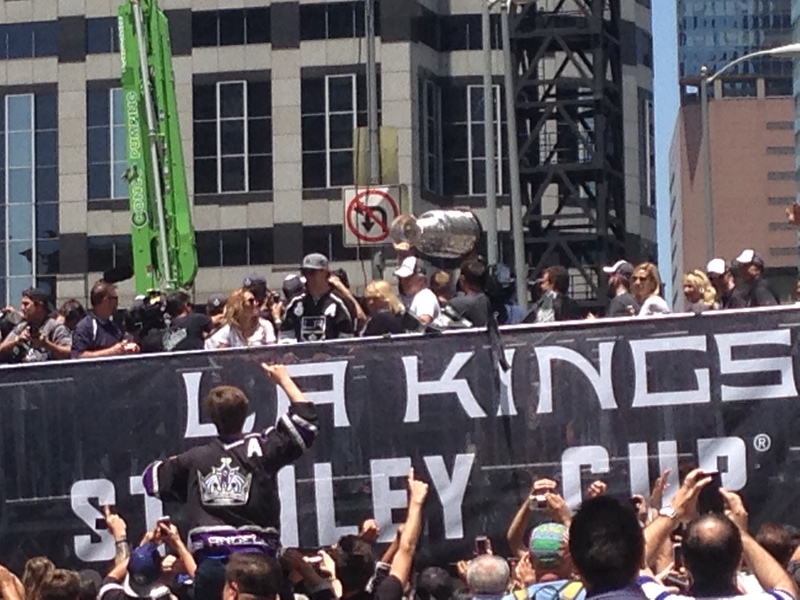 The crowd was a mix of die-hard Kings fans and business people on their lunch breaks. People waved towels with the Kings logo and cheered for the team. 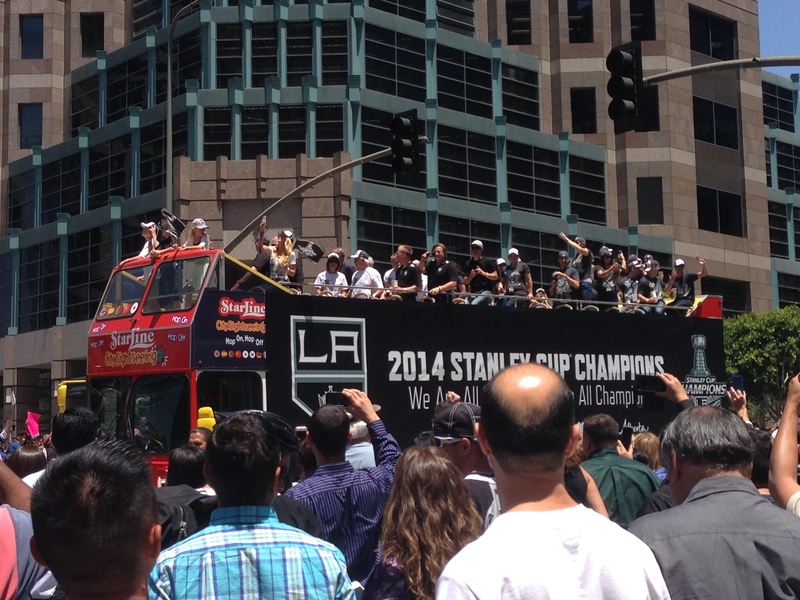 The parade consisted of several trucks carrying players, media and others. The Stanley Cup was held up by players for the crowd to see. From my office window, I was able to watch the street closures and reopening for the parade. It was pretty neat to see how quickly everything was back to being open once the parade was done. Such a huge celebration, without even seeing a trace of it just moments later. Look, it’s the Stanley Cup!